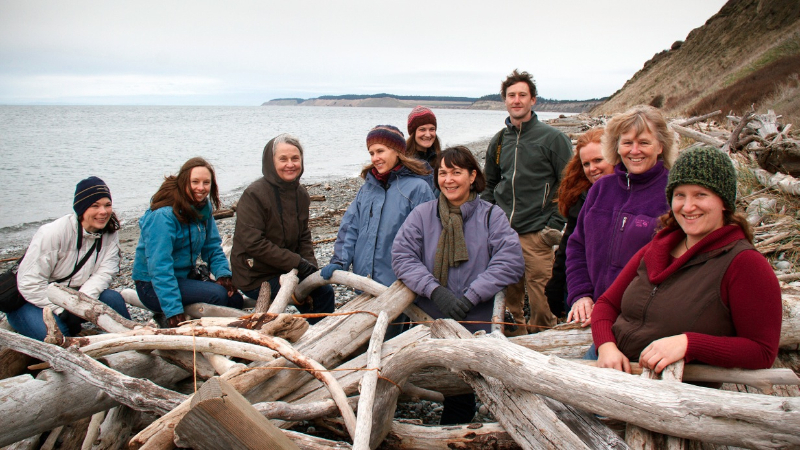 The people who make up and support the Whidbey Camano Land Trust—staff, members, volunteers, land owners and donors—can and do hear the land. And the Land Trust, like Dr. Seuss’ famed Lorax, speaks for the land—for the trees, tidelands, farms, wetlands and prairies. And they help us all hear what the land has to say. 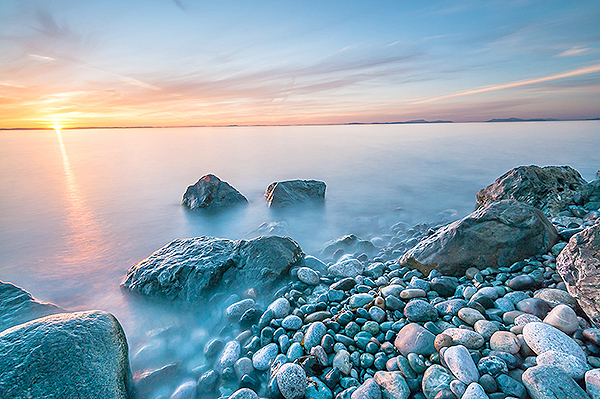 Since its founding in 1984, the Land Trust has permanently protected 76 properties, comprising more than 7,800 acres of land on Whidbey and Camano Islands. More than 7,000 acres of this has occurred in the last 11 years under the leadership of Executive Director, Pat Powell, and her professional staff. The Land Trust’s mission is to actively involve the community in protecting, restoring, and appreciating the important natural habitats and resource lands that support the diversity of life on our islands and in the waters of Puget Sound. Albert Heath, the Land Trust’s creator, wanted to save his land forever and he needed a land trust to hold the conservation easement; a conservation easement protects land from development while allowing the property owner to continue to own or sell the land. Heath created the Whidbey Camano Land Trust and donated a conservation easement to the Land Trust, forever protecting Ebey’s Bluff Trail and ensuring access to the public. 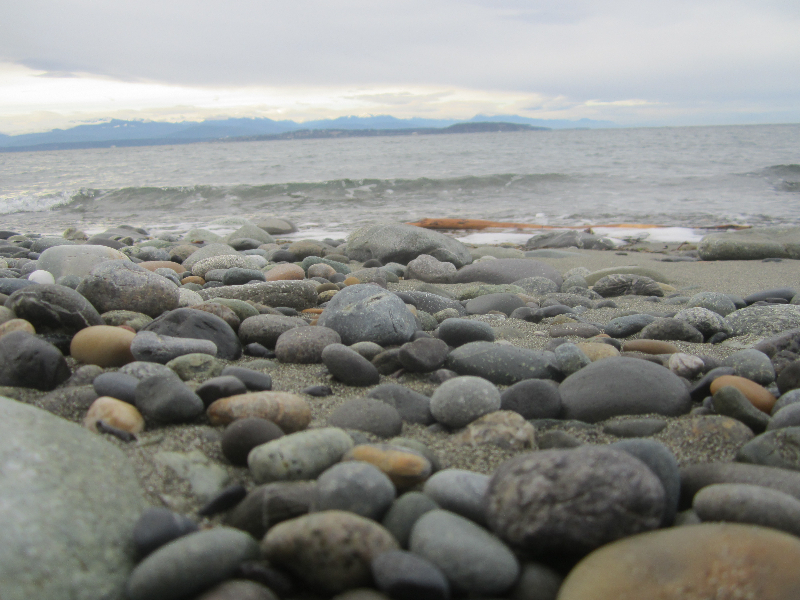 Ebey’s Bluff Trail is one of the most visited trails on Whidbey Island. Heath’s is not an uncommon story. It is the paradox of private land ownership. Landowners do not live forever. 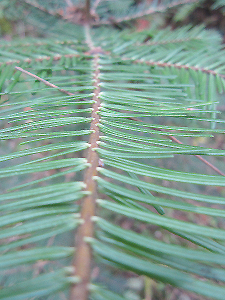 And yet over a lifetime, or sometimes over generations, a deep bond with the land grows. Whether it’s a connection to open spaces, tall trees, clean water or one’s heritage and way of life, landowners often come to realize that although they cannot live forever, their love for the land can. And so they turn to the Land Trust to help translate that love into legal protection. That is one of the ways the Land Trust accomplishes its mission—through partnerships with landowners. During the last 30 years, the Land Trust has grown from an all-volunteer organization working out of the homes of its members into a nationally accredited land trust—a status that recognizes standards of excellence and has been conferred on only about 15 percent of land trusts nationally. A large part of the Land Trust’s success is its professional staff—experts in land protection, land management, ecology, conservation and finance. Despite its land-based mission, most of the Land Trust staff is tied to their computers, telephones and desks much of the time. So they make a special effort to get out of the office and onto the land, whether through staff meetings on Land Trust land, tours of different properties, special events or staff development. 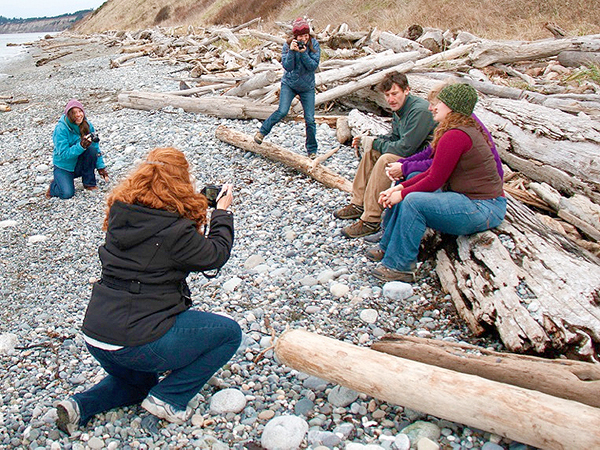 I caught up with the Land Trust’s 10-person staff one windy morning at Fort Casey last week, along with Whidbey Life Magazine photographer, David Welton, who was leading a photography workshop for the group. The Land Trust’s success depends on its staff’s ability to capture and convey the stories of the land so they can engage the community, expand membership and secure large grants. 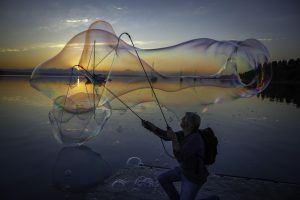 Compelling photos can make all the difference, particularly when time is short and stakes are high in the competitive grant process. The organization’s success in securing large grants has made local dollars stretch much farther. Every dollar donated by the community is worth $24 in land value because the Land Trust is able to leverage community dollars to help secure large million or multi-million dollar grants. In order to do this, staff members need all the tools in their toolbox to be sharp and ready so, on this day, they are sharpening their photography skills. Welton guides staff members first to the beach and then to the forest, where they practice the skills he has taught in an in-house session at the Land Trust’s Greenbank Farm office. At Fort Casey the staff is learning what it means to get their cameras off automatic mode and to adjust the ISO, aperture and shutter speed so that they can take technically excellent documentary photos. It’s not an easy or necessarily intuitive process. There is the science of it—and the art. “The hands-on application really helps,” Janelle Castro, the Land Trust’s Outreach Manager, told Welton. “I must admit I was confused when you were explaining it all, but now it’s starting to make sense,” she said. Welton agreed that nothing beats hands-on learning, which is why he took Castro and her colleagues out on the land to learn. It’s often the Land Trust that plays that role, getting people out on the land through tours, work parties and stewardship projects. At a recent work party, volunteers between the ages of 12 and 85 planted 46,000 native prairie plants. 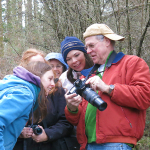 But today, it’s the staff’s turn to be guided through the forest—learning techniques to better capture and convey the story of the land so they can continue their work, protecting the iconic lands of Whidbey and Camano islands. 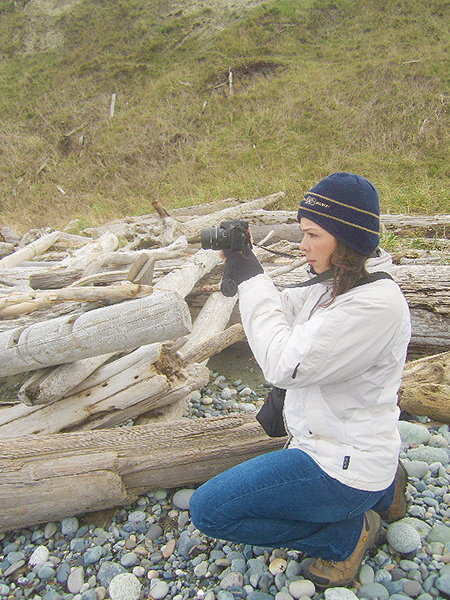 After 13 years in South Asia working as a human rights lawyer, writer and documentary filmmaker, Lisa Kois returned to Whidbey Island with her daughter and founded Calyx Community Arts School, the 347-acre classroom at South Whidbey State Park. She believes passionately in the transformative powers of nature and the arts. Great article! Thank you Whidbey Camano Land Trust staff and volunteers. I am so appreciative of what you do. Lisa is a fantastic writer! And the Land Trust staff were so much fun to work with. Their photos are proof of artistic talent that predated this seminar. And we saw an owl.